Just look at these beautiful berries! If given the choice, I’d eat each and everyone of them. Wouldn’t you? As I sit here writing, I keep staring at each berry, picturing its taste, texture, and the feeling of satisfaction I get after having a bite. I don’t discriminate against one or the other, each has its own uniqueness that is wonderful to embrace. It’s been awhile since I’ve read this quote, and as I sit here pondering what great words of Lizisms to share with you on this Wind Down Wednesday, I couldn’t help but keep coming back to this. I’m going to try and use those beautiful berries as an analogy, but Lord only knows how this will turn out, so bear with me! Every morning I wake up to a slew of emails, notifications and messages from social media, reminding me it’s time to get up and get at it. However, once I get through them, I come to find nearly 70% of emails were spammers, half of the notifications were letting me know I had “x” number of people unfollow me, and the rest are things that interest me to read. Instantly, I feel a blow to the self esteem. OMG -that was an awesome recipe! Declined again?! Are you kidding me? No response?! It’s been a week! What am I doing wrong?! Why me?! I then result to checking Facebook and seeing the slew of notifications that x has so many views, y got another gig, and so on. 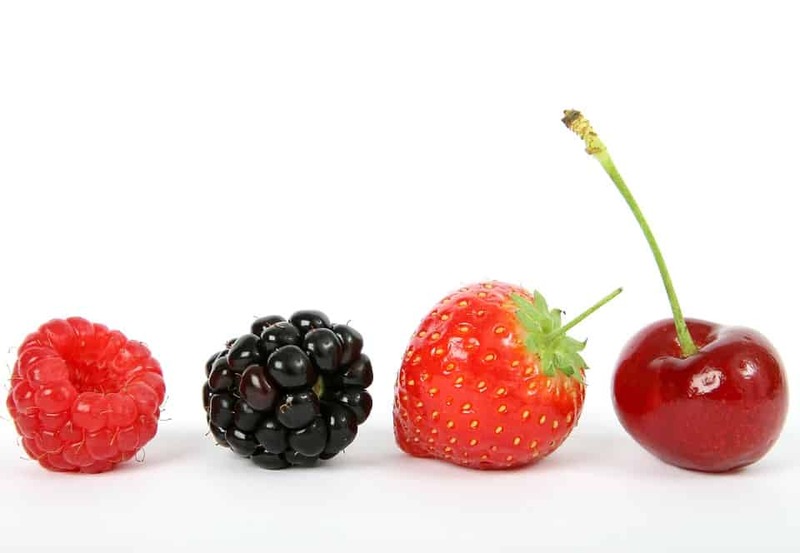 I compare myself to these other “berries”, feeling lost, hopeless and unmotivated. Some days, these feelings can last longer than others; that’s when I get into the downhill spiral as Mr. CEO calls it. This sometimes ends with my face in a bowl of powdered peanut butter with chocolate chips. I’m being honest, no judging. Since I shared with you my bad habits, I have been working on them, however I failed to mention previously the emotional habits that relate to comparison. I keep scrolling back up to look at that berry picture, because honestly, each is so unique in its own way. It’s nearly summer and the strawberries are rocking the market right now, so I’d probably opt for that ruby red beauty. But come June when cherries are bountiful, I’d pick those. Point being, each and every berry has a season it blossoms. Sometimes it’s a great harvest and you have an abundance; sometimes the conditions aren’t right and only a few survive. Regardless, every “season” they continue to grow, produce more; because let’s be honest, the blueberries aren’t comparing themselves to the raspberries, nor are the strawberries to the cherries. With May here and a fresh attitude to start this month, I’m making one final pledge to you, Simple Swappers, that I too will continue to grow, produce more (aka recipes) and stop with the comparison bull#$%&! It’s time I remember to embrace the beauty in the uniqueness of me. Sure, there are many dietitians, fitness enthusiasts and wonderful people all over the Internet blogging, but there is not another Elizabeth Ann Shaw married to a Mr. CEO. 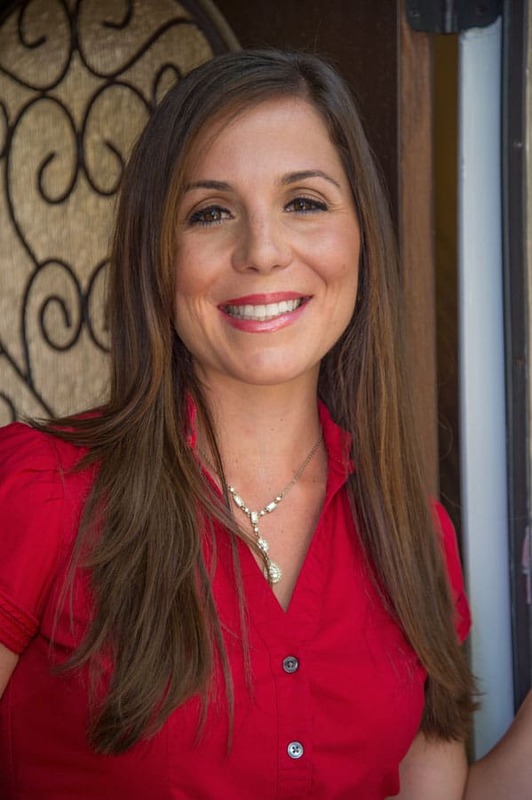 There’s only one of me, and as I tell my clients, “You are beautifully and wonderfully made!” It’s time I take my own advice, and focus on continuing to do what inspires me. I’ve spoken before about my passion projects, and as I have this time in my career to devote to them, I need not lose sight of what inspired me in the first place. Anyone care to join me?! 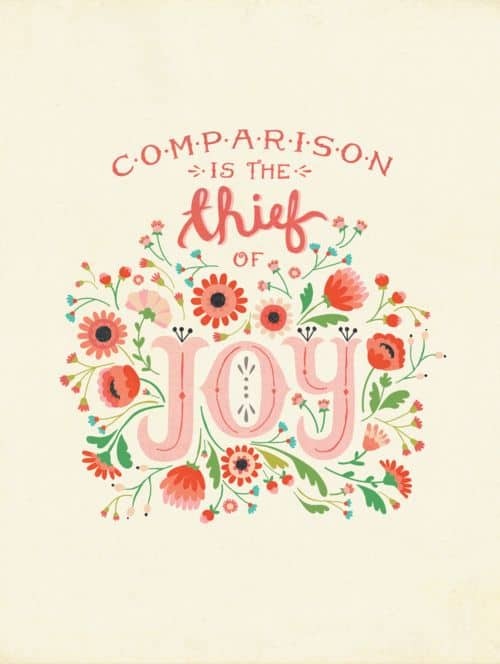 Do you find yourself in a comparison battle? Let’s banish the BS, once and for all! This happens to me all the time too. Then my boyfriend reminds me how much I’ve accomplished in so little time. I also talk to a friend from grad school once a month so we can “check in” on our accomplishments. It’s pretty interesting to talk about how we’ve grown every month. You have been doing so well, and I KNOW you are going to be super successful!! Thanks Natalie! I couldn’t agree with you more- everyday is different but it’s important to keep in touch with others to discuss your accomplishments and areas to improve. I love the mastermind groups I am in for this as well! I appreciate your support and I love everything about what you are doing, too! Keep rocking it mama! Great post Liz, I am looking forward to spending some time with you in July! Thanks Loretta! I too can’t wait to reunite! It will be a great week! I literally have that quote on my office board! I feel like we all play the comparison game, and for me- I do better when i turn off all of the outside distractions and just work on what I can do. I think no matter what “level” you get to, you can always compare- but what’s the point? And Liz, you are helping SO many people and only you can do this work! Keep up the great work, you are incredible and an inspiration to me! Great advice that I need now. Thanks for reminding us that “every berry has its season to blossom’. You are so welcome Lauren- thank you for reading! Oh my goodness you are awesome. I am so glad you shared that quote because it has been on my mind a lot lately! I thought about it the other day as I was comparing myself to some friends and then looked around and realized comparing myself to them was taking away the joy I feel with my own decisions and life. Ah, thanks Melanie! I appreciate that, and I too couldn’t agree more! It totally takes away that joy, and we all need to feel more joy in our lives. So, banish that comparison, and open up the <3! ❤️ This post ❤️ this is exactly what I needed a reminder of today! Ah, good to know Mandy! PS- less than 3 weeks we get to reunite! #itsbeentolong! ah, the comparison game. We all do it and it’s impossible not to. Social media sure has it’s benefits (like connecting us to each other even though we’ve never met in person), but it also has it’s downsides and the comparison game is one of them. As hard as it is, you need to block it out and just keep doing what you’re doing. I have to remind myself of this all the time. My yoga teacher always says “you do you” and I think about that on the mat and off. Keep doing you Liz, b/c you’re doing great! Thanks Heather! I appreciate your comment- and heck yes, you do you! SO glad you brought this post to my attention today. This is something I’ve been working on and struggling with for the past couple of months and it’s SO easy to get into this downward spiral…so I’ve been there with you girl! Sending all positive vibes and love your way!!! !